Halcombe Norilsk: Martin Scorsese presents Vinyl. Gangs of New York is a strange case inside movie history, with a superb cast (Daniel Day Lewis, Leonardo DiCaprio and the beforementioned Cameron Diaz) it was going to be a classic movie contingent upon the fact it recreated the foundational myth of New York City, yet the result was cold nonetheless, it received 10 nominations to Academy Awards winning not a single one of them. What is more, 9/11 made it to be postponed. Finally, a late fire in Cinecitta (Italy), the place of the shooting made Gangs of New York somehow accursed. The same year that was supposed to envisage Martin Scorsese and its team obliterating any competition, yet they were emptied-handed (at least Daniel Day Lewis won a Bafta and Scorsese the Golden Globe award) that year as I have mentioned some happenings took place that are worth to be remembered, in that edition, year 2003, Pedro Almodovar received an Academy Award for best screenplay something to point out as he does not write in English. Likewise, he received a nomination as best director even though Spanish film Academy did not choose his movie "Talk to her" to represent Spain in the category of best foreign film something that made him to maintain himself aloof from Spanish movie Academy. By contrast, that year saw how Academy Awards reconciled itself with Roman Polansky to whom they give an Oscar (The Pianist) albeit he could not enter into USA thereby he recorded a video instead as he is still an outlaw as far a United States is concerned. 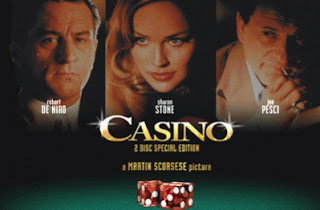 Like Cameron Diaz another famous person was dazzled by the story on Casino movie therefore he called Martin Scorsese on to offer him a new exciting project. I am talking about Mick Jagger, leader of The Rolling Stones who met Marty in a party in 1970s and to whom he has paid homage in many occasions as the Stones is his favourite rock band (poster on Taxi Driver, two songs in Mean Streets, two songs in The Departed, song on Casino likewise...). 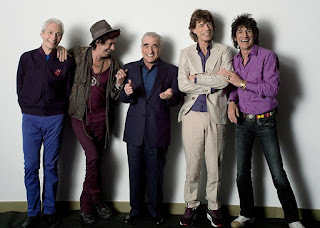 Similarly, Martin Scorsese directed The Rolling Stones in one of the best musical movies ever recorded, Shine a Light, a live concert in Beacon Theatre in New York City which was introduced by former US president Bill Clinton, it counted with other artists such as Christina Aguilera, Jack White and Buddy Guy therein. However, even though it was more than a decade since Casino was produced the project had not been born yet. Mick Jagger did want the same portrait Martin Scorsese had been produced on Casino but this time with music industry. Nobody had used rock music as Scorsese on movies thus Martin Scorsese was the perfect person to carry out the project. Until 1970s musicians were mistreated in economic terms no matter how great, good or many records they could sell, yet from that decade to this new century in which Internet has renewed the face of music industry with new technologies such as Napster, Spotify or downloading... Record companies were able to produce millions, music producers were even more famous than musicians themselves to whom they give plenty of wealth. Rock, punk, dance music... several musical styles were born and developed in 1970s. 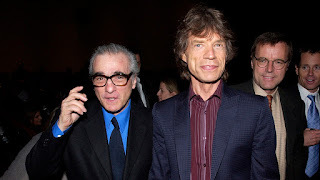 Martin Scorsese started his filming career in a professional level in that decade and it was on those days in which The Rolling Stones produced their best records just when Brian Jones died and Mick Taylor was hired as new guitarist. 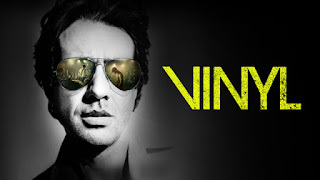 The aim of this television series Vinyl is to show the magical aura this age represents. First episode shot by Martin Scorsese himself has been lauded by everybody. 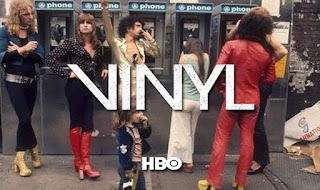 Main protagonist of Vinyl is Bobby Cannavale who appeared on Boardwalk Empire television series whose pilot was shot as well by Martin Scorsese (Marty has assured he is to direct new chapters of Vinyl on second season if it works accordingly). 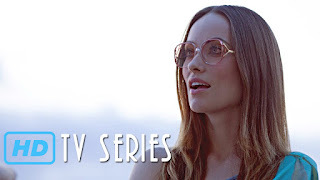 Regarding the female cast, we ought to talk about Olivia Wilde, with Irish background, she has double nationality both Irish and American and she adopted her current surname to pay homage to Irish writer Oscar Wilde, her real name is Olivia Jane Cockburn.